Lady J In Lotus Pose: Has anyone ever thought of this? 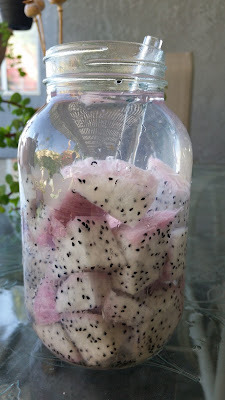 Dragonfruit with VOSS Sparkling Water. Dragonfruit is a sweet but subtle fruit. I tried using fresh spring water, but the flavor fell flat. Using Sparkling water did the trick.